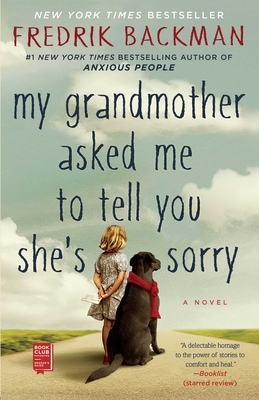 "Bring tissues when you start My Grandmother Asked Me to Tell You She’s Sorry, but bring your funnybone, too. It’s that kind of book – one that, if you miss it, you’ll never forgive yourself." "In his second offering, Backman (A Man Called Ove) continues to write with the same whimsical charm and warm heart as in his debut." "There are characters who amuse us, and stories that touch us. But this character and his story do even more: A Man Called Ove makes us think about who we are and how we want to live our lives. A Man Called Ove seems deceptively simple at the start, yet Frederik Backman packs a lifetime's worth of hilarity and heartbreak into this novel. Even the most crusty curmudgeon will love Ove!"